As one of the body’s – let alone the face’s – most prominent features, our noses attract a lot of attention. Whether a distinctive Roman, a cute button or a charmingly-crooked nose, it can be something that many people are extremely self-conscious about. In fact, few of us would honestly admit they are entirely happy with theirs. Our noses are determined not only by our genetic make-up (i.e. inheriting the Smith ‘honk’) but by our daily activities.  Boxers and rugby players routinely suffer nasal trauma, new parents risk receiving a kick to the face on a daily basis when changing nappies, and plenty of people open doors / walk into posts / get involved in minor accidents. Everyday life can be hazardous! Thankfully, there are ways to change a damaged, misshapen or big nose, the best-known probably being plastic surgery. Rhinoplasty is the surgical procedure in which the nose is reshaped, recontoured and corrected, if need be. It can be used to improve breathing function as well as the physical appearance. However, for many people, the thought of going under the knife is extremely scary. 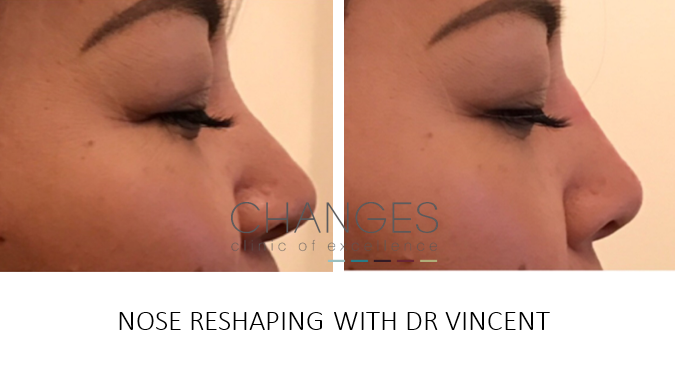 If you’re anxious about that, Changes’ non-surgical nose reshaping treatment could be the ideal solution. 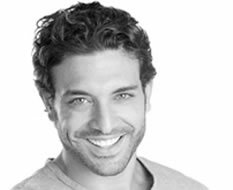 Using dermal fillers, our doctors can fill out dents, smooth bumps and re-contour. 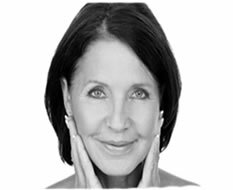 Results can last for several months and the filler is safely absorbed by the body. If you’d like to find out more, arrange for a consultation with one of our expert clinicians. Simply complete and submit your details and we’ll get in touch. All enquiries and questions are dealt with in the strictest of confidence. 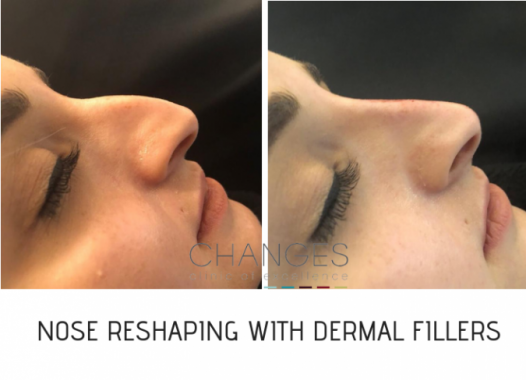 For those of you not ready to go under the knife, we are able to re-contour and shape your nose with dermal fillers. 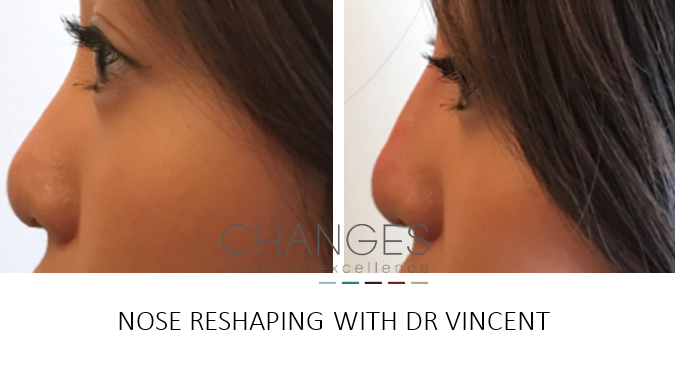 Ideally suited to balance a mis-shapen nose rather than reduce sizing, this procedure is highly effective in restoring confidence. Our expert doctors use dermal filling on a frequent basis for nose reshaping and enlargement of flatter noses. 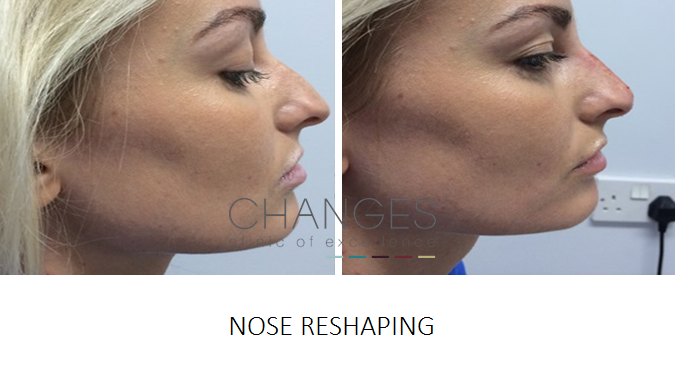 With our expert team of surgeons who specialise in this procedure we are able to help correct any mis-shapen, large, long or crooked nose! Facial balance is essential to enhance your look therefore good advice and experience is key to a great outcome. Bruising & swelling is part of the process with several weeks of healing but results can be life changing! Over 50% of us will experience balding, thinning or lack of volume of hair during our lifetime. Our hair specialists help you to understand the cause & offer you a variety of solutions to give you back your crowning glory! We understand your condition, call now for a consultation! You've tried dieting & exercise without being able to budge the fat from that stubborn area? Tummy, thighs, arms, love handles are our patients favourite areas of loss. 4 treatments clinically proven to get rid of fat! Success achieved within weeks! Call now to make the change! Skin problems, including acne, rosacea, thread veins & wrinkling all show improvements with scientifically proven skin care. No need for inflated prices & expensive packaging! A no nonsense guide to transforming your skin. Simple methods that work! Call now to change your skin! You want your skin to reflect the age you feel? A subtle treatment to make you look refreshed & rested, or may be something a little more dramatic - the choice is yours! Call now to make an informed decision with great advice from our friendly & experienced doctors & practitioners. We are conveniently situated just to the north of Portsmouth, with the M27 motorway and public transport links close by. This makes us easily accessible from Chichester, Fareham, Petersfield, Southampton, Winchester and the Isle of Wight. There is plenty of free parking too. Copyright Changes Clinic © 2014-2016. All Rights Reserved.